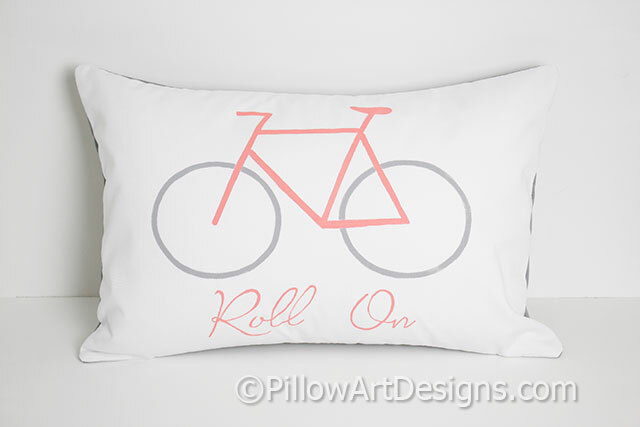 Perfect for the biking enthusiast, Roll On biking theme pillow measures 12 X 18 and includes polyester pillow insert. Bicycle graphic painted in coral and grey with the words 'Roll On' painted in coral beneath. 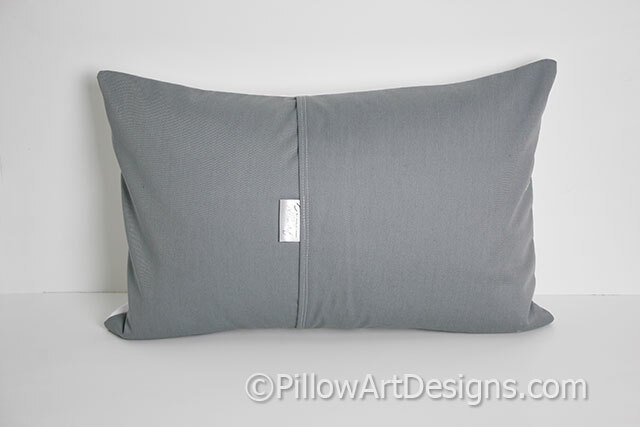 Outer fabric is white cotton polyester twill (front) and grey cotton polyester twill (back). Fully lined with white cotton polyester.